David Chiu is promoting California State Assembly Bill 404, which would give community college stakeholders a greater voice in the accrediting process. The City College of San Francisco still has some major hurdles to overcome after an accrediting commission threatened to revoke the college’s accreditation in 2013. As the college continues to regroup from the blow it was dealt several years ago, the Accrediting Commission for Community and Junior Colleges (ACCJC), the body that oversees California’s community colleges, has come under increasing scrutiny. 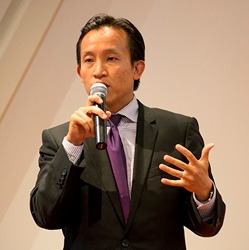 David Chiu, a member of the California State Assembly, is promoting Assembly Bill 404, a piece of legislation that would give community college stakeholders a greater voice in the accrediting process. AB 404 passed in the Assembly Higher Education Committee on April 6, and is expected to be heard in the Assembly Appropriations Committee in May. AB 404 would require the California Community College system to gather feedback on their accrediting body from community colleges. That feedback would then be relayed to Department of Education’s National Advisory Committee on Institutional Quality and Integrity (NACIQI), which advises the USDE on accreditation matters. Chiu represents San Francisco in the State Assembly, and prior to joining the Assembly, served on the San Francisco Board of Supervisors. He has spoken out in praise of CCSF’s work in the San Francisco community. “Our community college system is too important to remain silent during any federal review process with significant local impact,” he wrote in an op-ed in the San Francisco Examiner on April 6. The bill was sponsored by the Faculty Association of California Community Colleges (FACCC). One of their goals for the bill is to ensure that community college stakeholders can provide feedback and commentary directly to the USDE without fear of retaliation from accrediting bodies. “We want to be able to provide faculty and other college personnel with a little bit more of a direct line to the U.S. Department of Education, in terms of providing feedback on regional accreditation agencies,” said Austin Webster, FACCC director of communications. While the ACCJC has not released a formal comment on AB 404, ACCJC chair Dr. Steven Kinsella published an op-ed arguing that the bill is unnecessary in the San Francisco Examiner on April 12. “While Assembly Bill 404 is spurred by the recent debates about City College of San Francisco, it is important to distinguish between constructive comment and suggestions for change, and unwarranted critique,” Kinsella wrote. ACCJC staff could not be reached for further comment. “I think they’re looking at ways [that] they can increase their relationships with colleges currently, and so we’re actually a little surprised that they’re not on board with this bill because it would provide them with another avenue to do that,” Webster said. CCSF’s plight has garnered a great deal of attention, in part because it has one of the largest student bodies among Californian community colleges. The college had around 77,000 students this year, and is working to rebuild enrollments towards the school’s capacity of 90,000. Student enrollments dropped after the ACCJC threatened to remove the school’s accreditation, although this year the enrollment drop has slowed down. CCSF is not the only one to be singled out ― ACCJC has earned the distinction of being the most sanction-imposing accrediting commission in the nation. The commission has been facing pressures from the USDE itself to be tougher on the colleges under its jurisdiction. Accrediting agencies go up for review by the federal government every five years. In 2007 and in 2013, the ACCJC was found to be non-compliant with certain USDE requirements. Yet the commission has limited tools at its disposal to ensure that colleges comply with standards ― one of them being threatening schools with closure.